Sadly, Party Chicken has passed on. We came back from brunch this morning to find her very lethargic and refusing to move, even when we touched her. 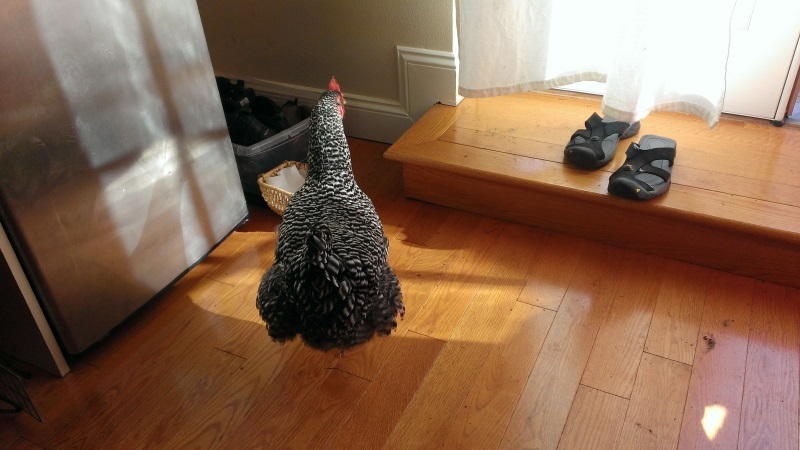 Normally, like the other chickens, she flips out if you get too close. She appears to have somehow gorged herself on long grass stems and got them stuck in her crop. It was too late by the time we go her to the vet, sadly, as she died under examination. RIP, Party Chicken. Bawk on wherever you are.